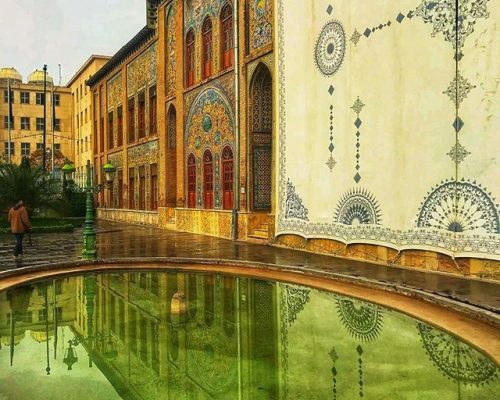 Iran as one of the eldest countries in the world is full of historical and cultural monuments. This itinerary would be a good choice that covers the most important highlights in the main cities. You can also experience lifestyle, local foods, luxury and traditional hotels. 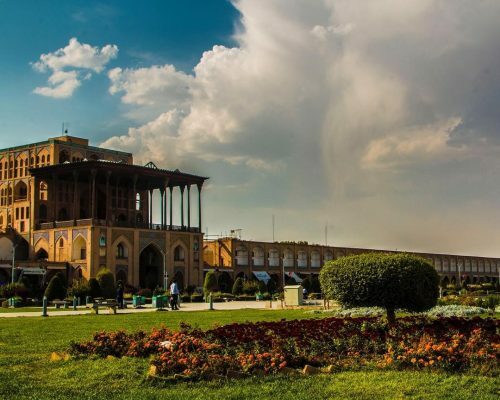 It is an Iran open jaw tour starts from Tehran continues to the heart of historical cities and ends in Isfahan. 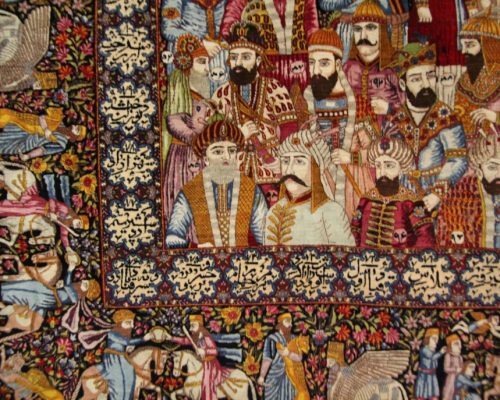 Tehran is the capital of Iran with many museums that record the history of each nation. Visit the shopping malls, Palaces, Monuments and restaurants. Arrival at Tehran international airport and transfer to the hotel. Based on arrival time we can have a short visit in the city. 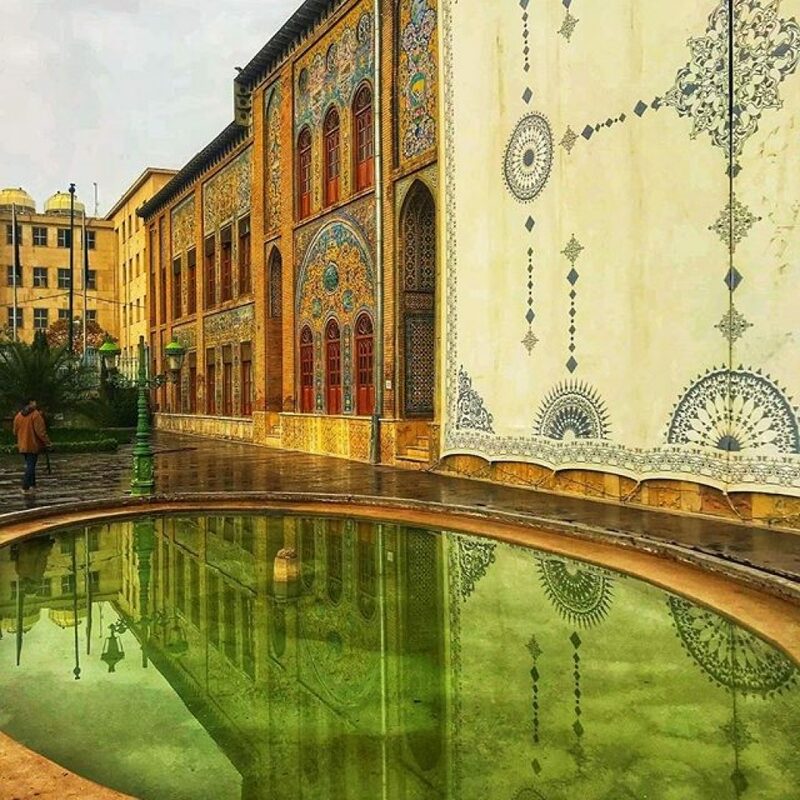 After breakfast we will have city day tour to visit Golestan Palace including several palaces and registered as UNESCO heritage site, National Museum, Jewelry Museum and Grand bazaar that is an old historical market with unique architecture where locals trade things like Gold, carpet, spice, fabric, handicraft and traditional food. 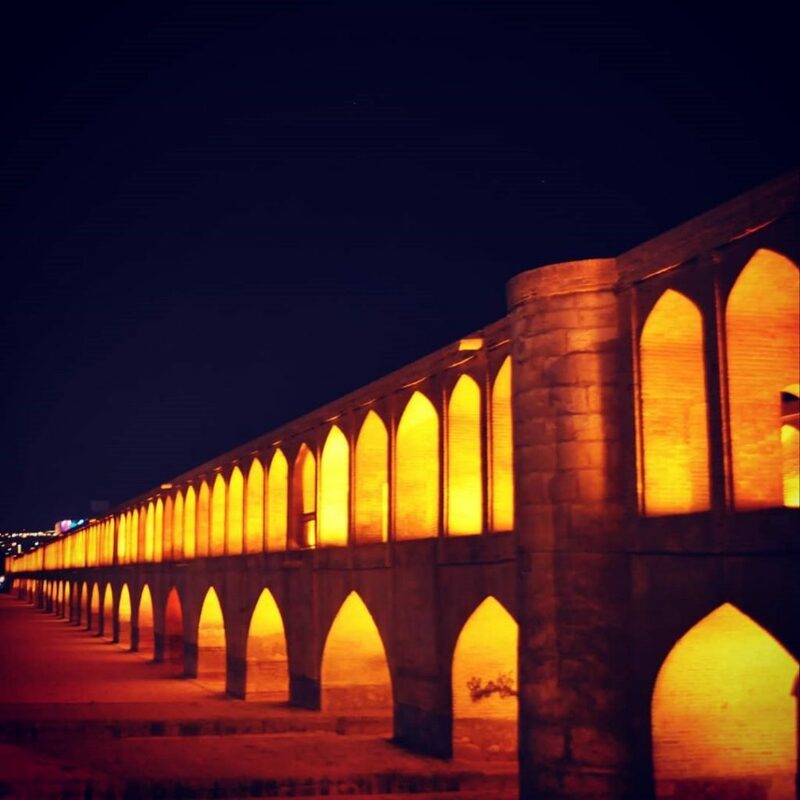 During evening we will visit Tabiaat Bridge the symbol of modern urban architecture. 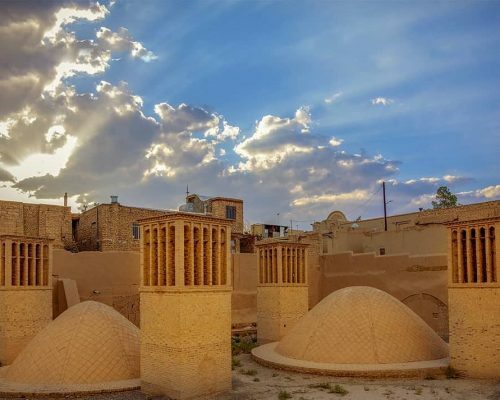 In the morning we drive to Kashan (about 2:30’ drive), visiting Fin Garden (bath house) registered as UNESCO heritage site includes 2 pavilions inside a wonderful garden. 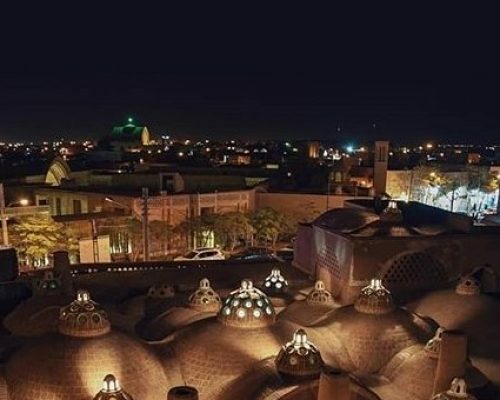 As Kashan is the city of traditional houses, Boroujerdi and Tabatabaei Residences are our other destinations. 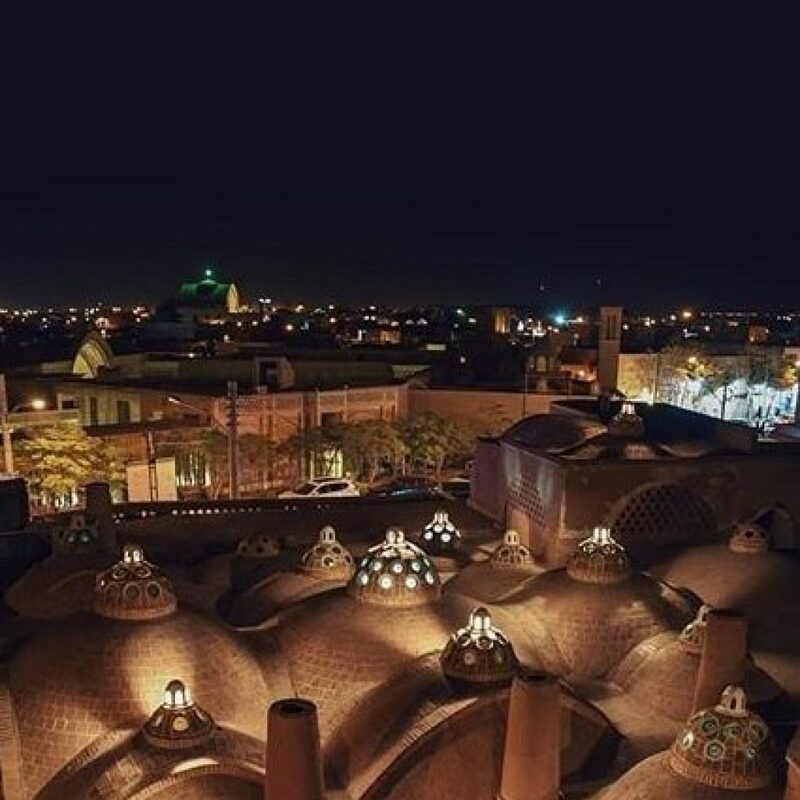 Kashan historical bazaar is another must-visit monuments in Kashan includes more than 40 buildings. In the morning we drive to Abyaneh village (about 1:15’). It is a beautiful stair-structure reddish color village with mud-brick houses, that is an amazing example of adaption of human to nature, in which people keep their costumes and wear traditional colorful clothes. Then we drive to Naein (about 2:15’ drive). 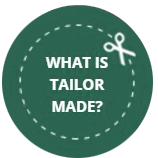 In the morning we visit Jame mosque and Traditional Workshop weaving cotton. 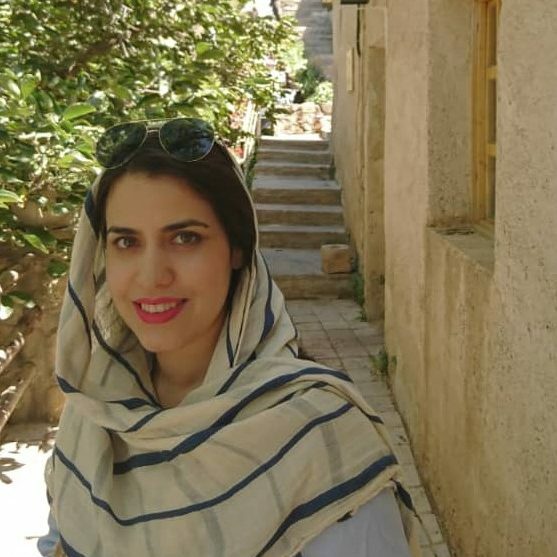 Then drive to Yazd, on our way have a stop in Meybod to visit Narin Castle. Then keep going to Yazd (1:25’ drive from Naein to Meybod and 1:30′ from Meybod to Yazd). 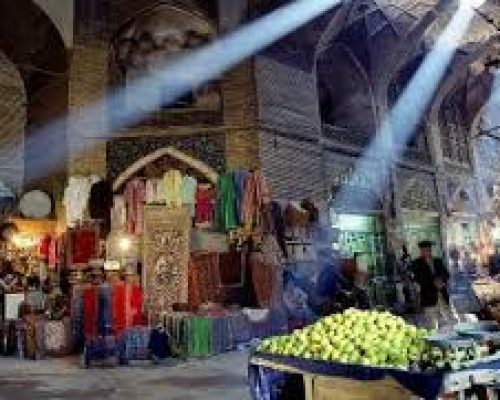 After breakfast we start a full-day tour in adobe city of Yazd that its old town is registered as UNESCO heritage city. 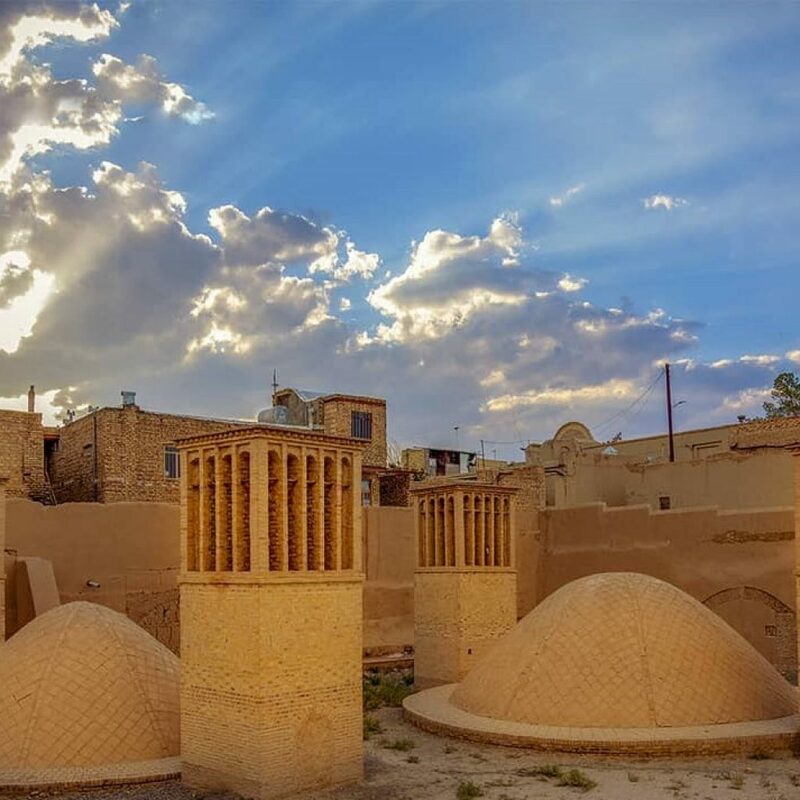 Yazd is famous as the city of Zoroastrian culture and wind catchers. 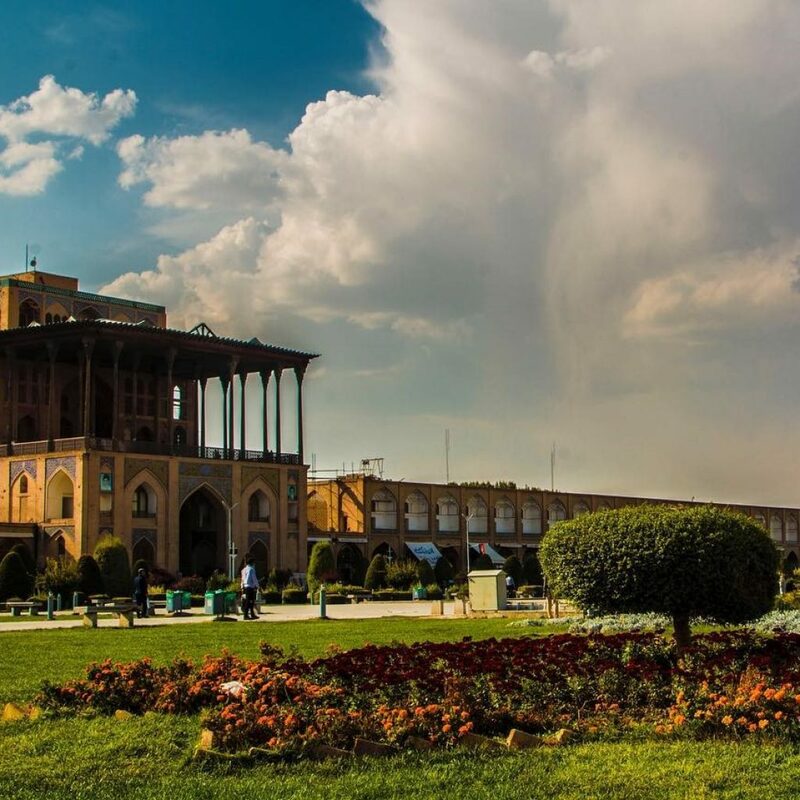 Today we will visit Amir Chakhmagh square, Jame Mosque, Zoroastrian Fire Temple, and Dowlat Abad Garden. After breakfast we drive to Abarkuh, en-route we visit Tower of silence a kind of Zoroastrian ancient cemetery, keep going to Abarkuh (about 2:30′ drive). Arrive in Abarkuh we will visit Abarkuh Ice-House an adobe building used to store ice and food prior to the invention of refrigerator. The town is the home of the world’s second oldest tree called Abarkuh cypress, its age is estimated over 4000 years. We can see the tree on our way. 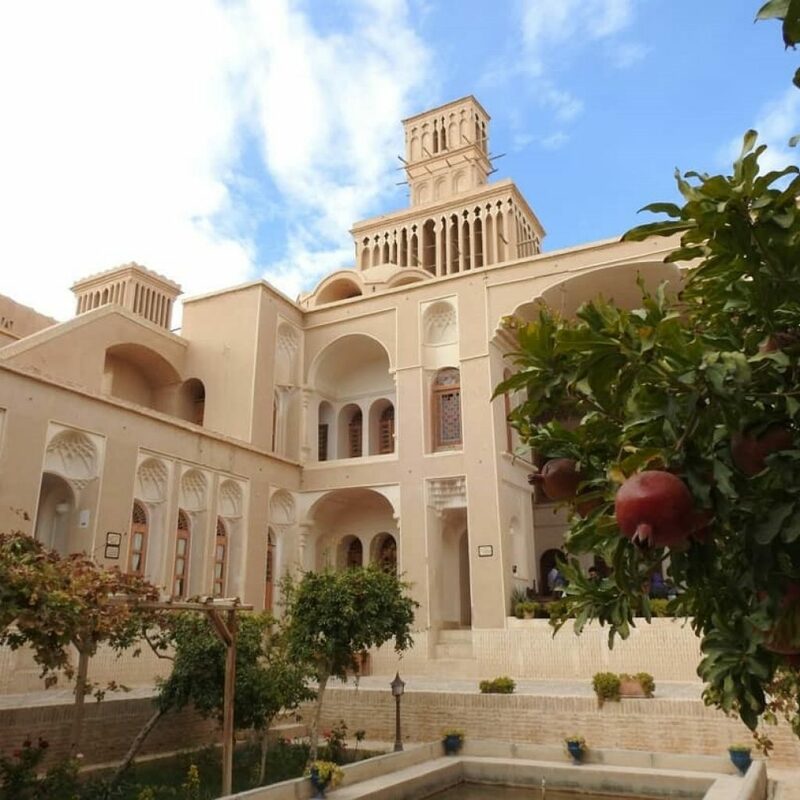 We spend our night in Aghazadeh traditional house that is national heritage. 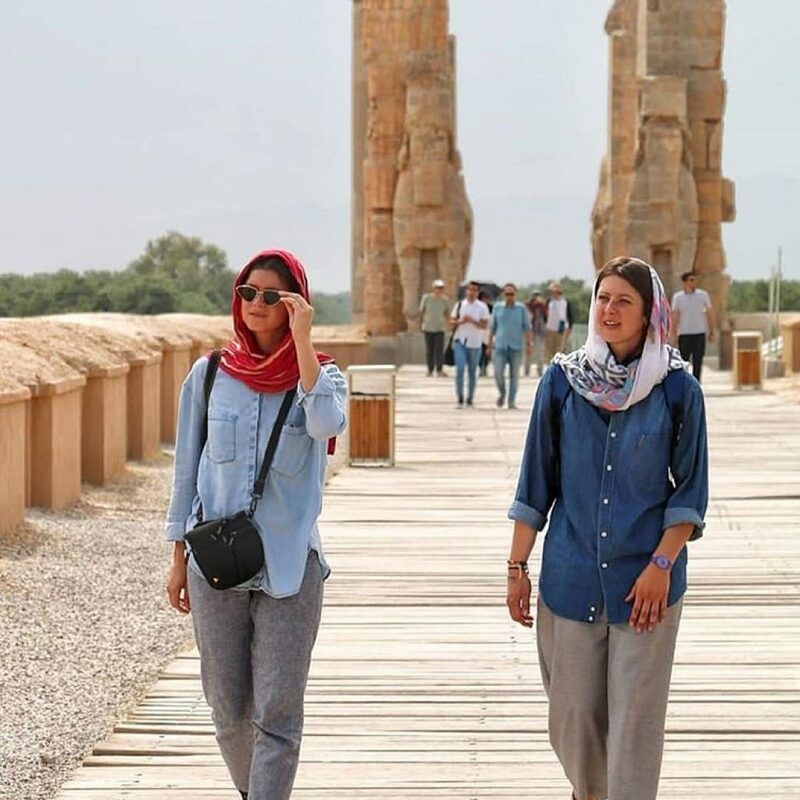 In the morning drive to Shiraz, on our way we will have stops to visit Pasargadae and Persepolis. 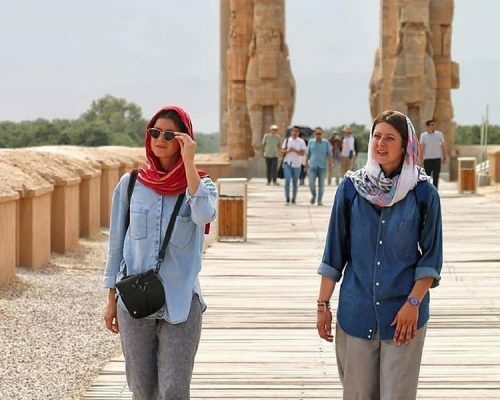 Persepolis or Takht_e Jamshid is one of the masterpieces of Iran. UNESCO declared the ruins of Persepolis as World Heritage Site in 1979. Pasargadae another UNESCO heritage site is the ancient Iranian empire capital and the place of Great Cyrus Tomb. 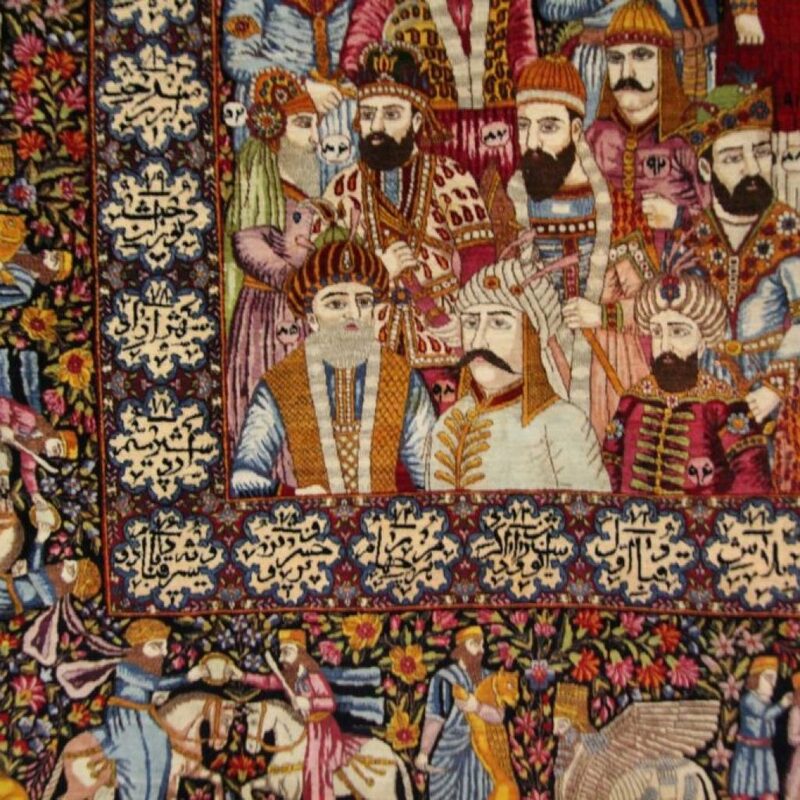 Then we keep going toward Shiraz. In the entrance of the city there is a historic gate that called Quran Gate. In which hand-written Qurans were kept. 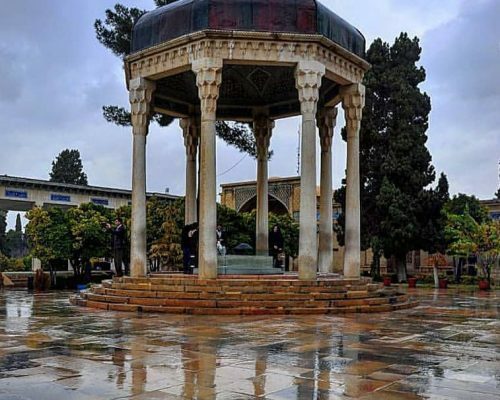 Full-day city tour in Shiraz that is one of the oldest cities of ancient Persia and center of the arts, poets, literature, Monuments, Garden and flowers. 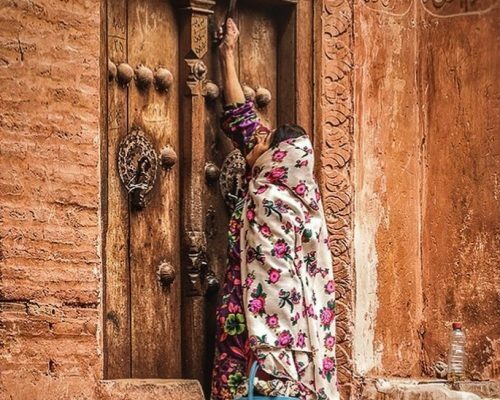 Start our Full-day city tour with Nasir ol molk that named in popular culture as the Pink Mosque, due to the usage of considerable pink color tiles for its interior design. 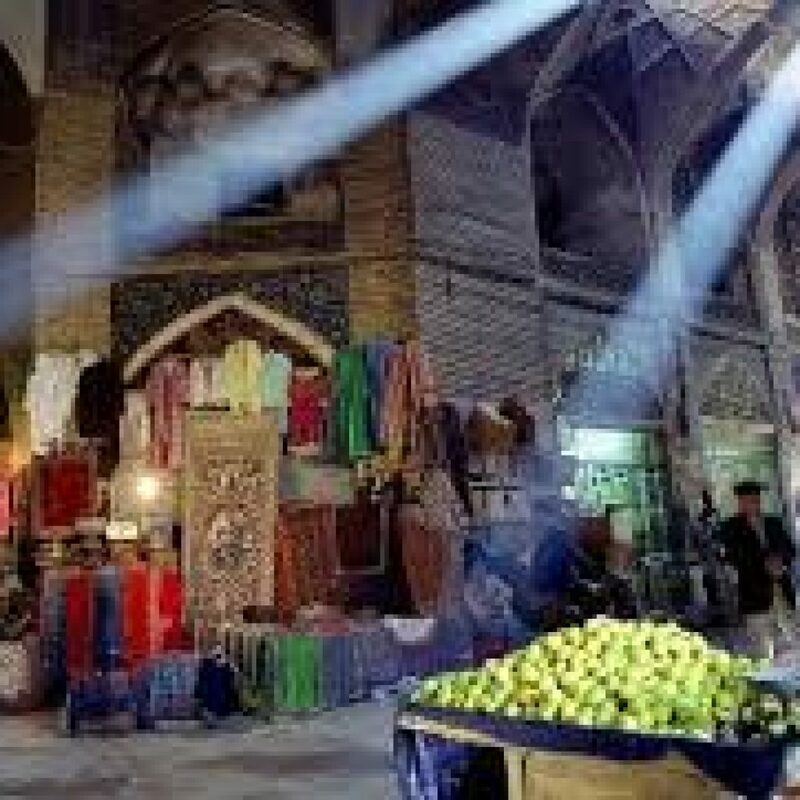 Zand Complex that includes Citadel, Bath, Mosque and traditional Bazaar would be our next attractions in this city. 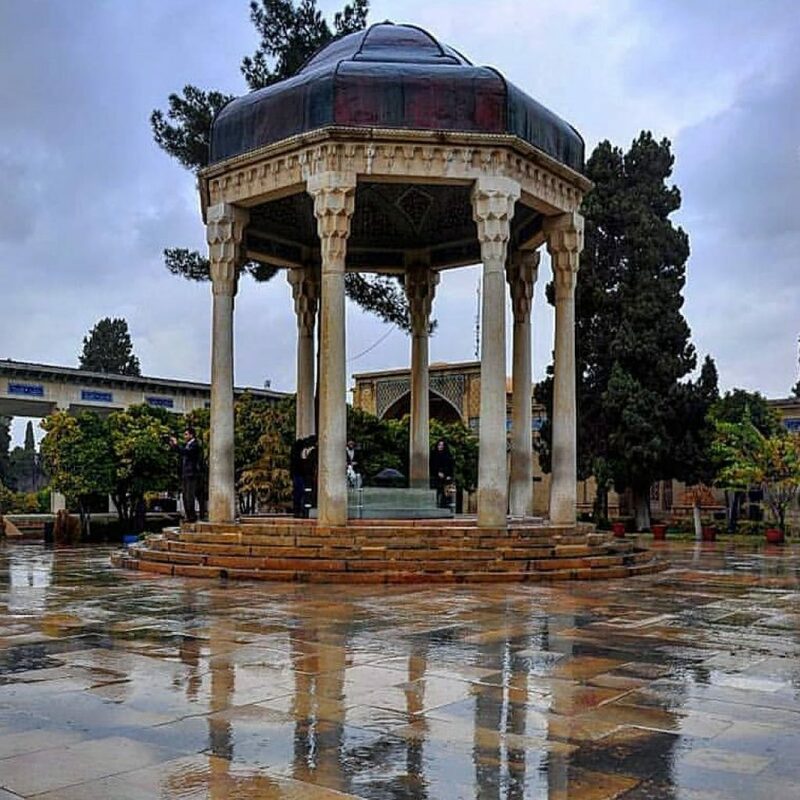 During afternoon we will visit tomb of Hafez and Saadi the Iranian famous poets. We will experience memorable time in these Gardens. In the morning we visit Ali e-Ebne Hamzeh holy shrine with its outstanding interior mirror works then we drive to Isfahan (about 5:30’ drive). 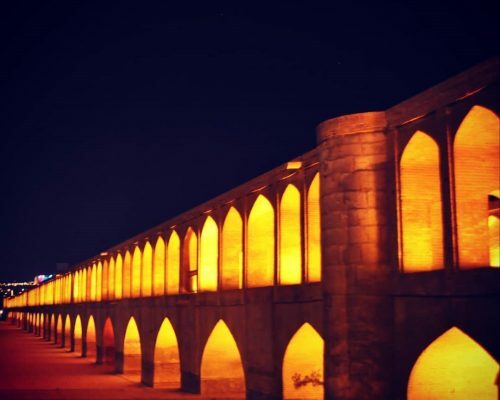 Arriving in Isfahan we will visit Siosepol and Khajoo bridges. 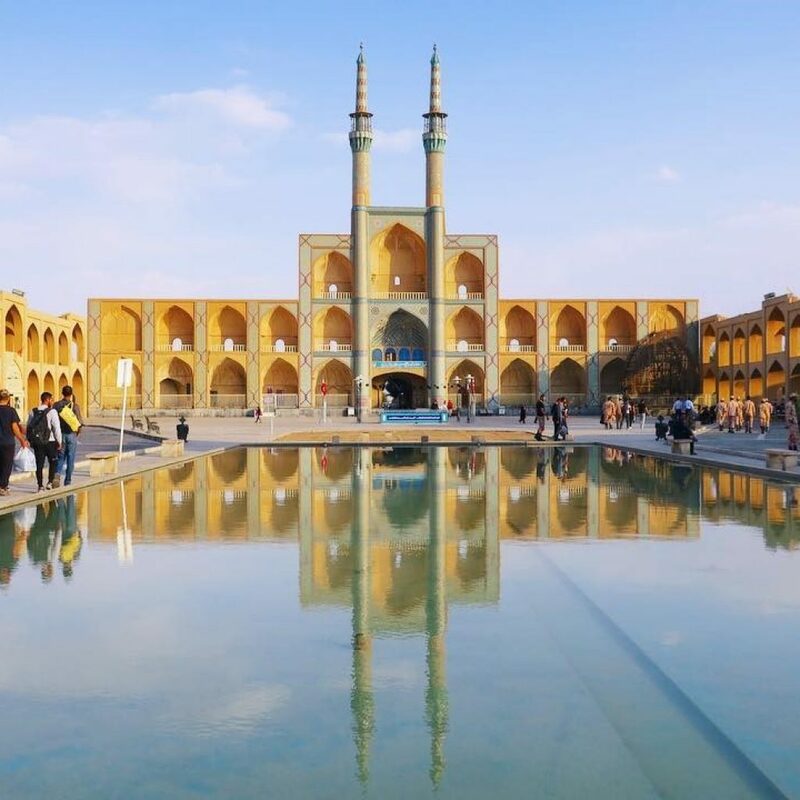 Full-day city tour in Isfahan that is one of the largest cities in the world with many wonderful monuments from Safavid era. 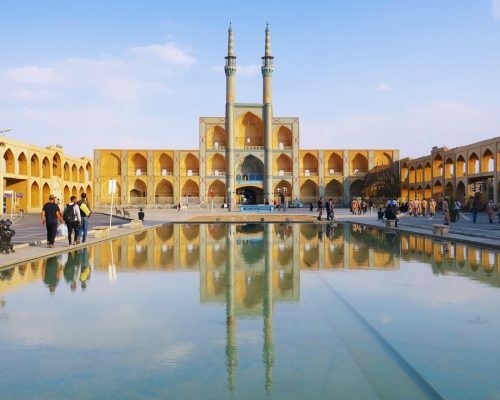 Start our full-day city tour with Naghsh-e Jahan Square (includes A’li Qapu palace, Sheikh Lotfollahn and Imam Mosques and Qheysarieh Bazaar) that has been registered by UNESCO as outstanding example of Iranian and Islamic architecture. Then we will visit Chehel Sotun (UNESCO heritage site) not far from the square. 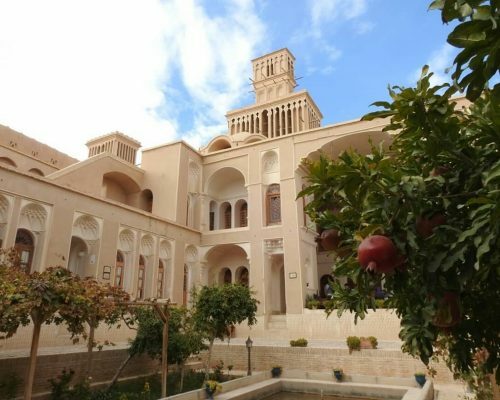 During afternoon we will go to visit Armenian quarter of Jolfa where we can spend some time with young locals and have a coffee in its cozy cafes. Today you leave the Precious Persia. Transfer to Isfahan international airport for your departure flight and we are looking forward to hosting you again in our country.